What do you think the Web will look like in 20 years? Growing up in the pre-Web days of the 80’s, I was drawn into the world of computers. At college in the 90’s, I carried around my Eudora email disk and got on the Web using early versions of Netscape. I thought it was really cool that I could visit early websites and get basic information on some of the companies that I was interviewing with. I remember showing my girlfriend (now wife) some of these websites, and her reaction was that it seemed like a toy and why would anyone waste their time on that. Of course, her first job a year later was designing websites. Technology moves fast. ﻿The Web has changed my life by extending the network of people who I can keep in touch with. In the early days of the Web, first email and later instant messenger allowed me to keep in touch with friends and family over distance. Now, with the help of social media tools, I can stay connected with a much larger number of people. There are cousins, friends in far away places and former co-workers that I likely would lose contact with if it wasn’t for LinkedIn, Facebook and Twitter. The little updates that you see about their lives fill in the gaps in time between when you actually get to talk to them or see them. The Web has greatly increased the velocity of information and reach of business. Companies share information and compete in a global marketplace that is greatly enhanced by connectivity of the Web. The Web gives us the opportunity to access lots of information about all topics. On the other hand, there is such a deep amount of information about topics that it is easy to not get a diverse view of the world or to get lost in a sea of noise. With all of the changes that we’ve seen in the last 20 years (or even the Web 2.0 explosion in the last 5 years), it’s difficult to guess what the Web might look like in another 20 years. According to Nicholas Carr’s book, The Big Switch, Google’s initial goal was to help improve the way that people think (and it looks like his new book discusses whether Google is making us stupid). In the future, computers should understand our environments and provide information based on semantics [see EMC’s CTO Jeff Nick’s discussion in ON Magazine] rather than searching in computer code (Boolean search, hashtags, etc). 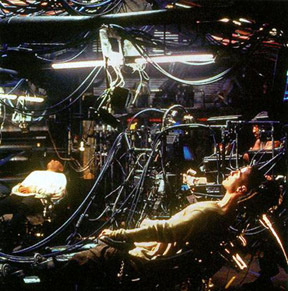 I’m not saying that in 20 years that we will be able to link our brains into computers (sure, the Matrix is a fun movie, but not the future that we want). While the technology of voice recognition has been around for many years and showing only modest progress, within the next 20 years, we may be able to simply talk with computers (to quote Scotty in Star Trek IV, “a keyboard, how quaint”). Live video between people will continue to play a larger role in how we interact with each other as bandwidth increases. It’s my hope that computers and the Web can continue to increase the ability to gather and utilize information as well as connect people. To continue the conversation, I am tagging Natalie Corridan-Gregg (EMC), Aneel Lakhani (works for IBM, speaks for himself) and Andrea Meyer (Working Knowledge) to continue the #20years discussion. UPDATE: For all of the posts on this topic, including the responses from Natalie, Aneel and Andrea – see the document on the EMC Community Network. Here are two additional viewpoints to continue the conversation from the magazine. See Me, Hear Me, Touch Me? → Through his blog, Louis leads the way in exploring gadgets and technology on the web. The Web has become the universal source for information for practically any topic at any time, regardless of its source. It has also grown into the leading venue for communication with friends, colleagues, family and strangers. The Web has undone the traditional formats of scheduled information flow and has reduced many barriers that were geographically or class based. It has also allowed direct access to the authors of information in real time. As these barriers decrease, so to have some of the long held (now antiquated) barriers related to transparency and what information is valuable to be shared. In many ways, the Web has virtualized the physical. We have largely replaced physical communication with online messaging. We have reduced much of our commerce in exchange for online commerce. Travel to meetings and retailers has been largely reduced thanks to the Web and collaboration tools. Not only has society learned to turn to the Web for everything from news to business to entertainment, people have also become creators of content and entertainment themselves. They are producing videos for YouTube, writing insights on blogs, and staying connected to a broad network of connections by sharing photos on Facebook, Flickr or other sites. We have gone from a very traditional, private, society to one where people don’t blink about sharing their every meal, location, or spending habits. Some have chosen to livestream their daily activities, or broadcast their most embarrassing moments for thousands or even millions to see. Any predictions on where the web will go in 20 years will be wrong. If you look backward 20 years, you will realize how little of an idea we actually have about what is to come. At this point, as communication gets faster and information is more accessible in more places in higher quality, it seems that the only real limits are physics and our own imagination. As the underlying components of the Web, including servers, software, networking and processing improve, so to will the potential for new ideas. Full-length movie downloads were just a concept only a few years ago, and now we don’t think twice about streaming them from Netflix or ordering them from iTunes to our Apple TV. What’s to say we can’t continue to see this maturation in the next two decades as our own activity becomes faster, lighter, mobile and connected? Will we have devices that carry, in our pocket, or in our headgear, the entirety of the world’s publications or videos ever published? Can we virtually meet with people from different locations and share the same experiences, including touch, taste and smell, without us being in the same geography? Listen to the full 9 minute interview with Louis Gray here (click the play button below) or on Cinchcast. → At his job and through his blog, Hutch explores the impact of technology on business and innovation. The Web and Web 2.0 have allowed us to share our thoughts and to create a robust on-line resume through tools such as blogging and Twitter. Traditionally, people are reviewed based on their previous jobs; I was able to showcase my critical thinking skills through blogging, which allowed me to move from banking to high tech. Before I started at Spigit, I wrote a blog post about ideation and brainstorming which included a mention of Spigit. A customer linked from my site to the company site and requested a demo, this got me visibility with Spigit’s CEO. The biggest impact of the Web on business has been search. Search has changed the way that people find information. Rather than using periodicals and trade references, you can get a broad selection of targeted results through the Web to meet your needs. Many interactions have gone digital, which helps businesses and individuals spread their message. In the future, the Web will increase the connectivity between technology and people. I’ve written about Paul Saffo’s predictions [also see an interview with Paul Saffo in the ON Magazine] about how robots and sensors will change how we live in the future. Social web logic – the tracking of topics and people – will continue to increase the utility of search. There will be increasing visibility and importance to online reputation. I guarantee this though: Robert Scoble will be testing the outer limit of whatever it is. Listen to the full 7 minute interview with Hutch Carpenter here (click the play button below) on Cinchcast. What are your predictions for the future of the Web? Post your comments or record your thoughts using Cinchcast. Please go to the complete issue of ON Magazine by clicking the cover below. Fibre Channel over Ethernet (FCoE) is still a hot topic in 2010. My expectation is that in 2010, FCoE will have strong growth (of course, growing by high percentages is easy when you start with small numbers) and that as more server options with FCoE become available that we will start to see FCoE expanding many FC environments. From a standards perspective, T11 FC-BB-6 is working to “add details” to the current FCoE environments; while the exact goals are not completed, they may include distributed FCF functionality (enabling multi-hop) and direct connectivity of end nodes (removing the requirement of a switch). People should understand that even when we have multi-hop and end-to-end configurations, that it will take time to grow the scope of solutions. In 2010, we are unlikely to see an all-Ethernet FCoE configuration running thousands of nodes in a single configuration. As part of the extending the solution to you, there are some upcoming events where I will be speaking on FCoE. The first event will be a conversation hosted by Wikibon. I will be joining Nigel Poulton, Dave Graham, and others to discuss the realities of the technology, share what we are hearing in the marketplace and answer your questions. See the Wikibon site for more details on the call. The Ethernet Summit is a 2-day event put on by the Ethernet Alliance, this year’s is February 24-25, 2010 at the Wyndham Hotel in San Jose, CA. There will be a full day of FCoE where I will be presenting the origins and status of FCoE. The keynote of the day is Silvano Gai, who literally wrote the book on FCoE. Claudio DeSanti, Chairperson of the committee at T11 that defines FCoE, will be giving the technology overview and there will be a panel discussion including members from Emulex, HP, QLogic, NetApp and Cisco. 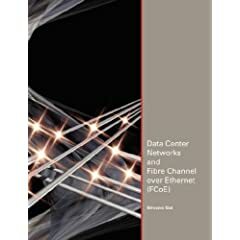 In addition to the FCoE coverage, I’ll be looking forward to getting the latest on the networking industry including plenty of information on 40/100 Gb Ethernet. For more details on the conference including the full agenda and registration details, see http://www.ethernetsummit.com/. If you see my posts from last year, EMC World has always been one of my favorite weeks of the year. The conference is May 10-13th in Boston. My presentation last year was the top attended for the entire conference, so the bar is set high for this year. My presentation for this year is entitled Converged Data Center: FCoE, iSCSI and the future of storage networking. It’s always a great sharing of information with so many people that I look forward to seeing. For more details and for registration (there are some great gifts available if you register by February 28th), please click the graphic below. Please post any questions that you have and let me know if you’ll be at any of the events listed. If you are new to this site and interested in continuing the discussion on storage networking, please consider subscribing to this blog. You are currently browsing the Blog Stu - Stuart Miniman blog archives for January, 2010.